As vehicle names go, Mitsubishi Outlander PHEV GT S-AWC is a mouthful. Once you swallow Mitsu’s alphabet soup, you find that what you’ve got is a top-trim compact-crossover SUV with a plug-in hybrid powertrain. Outlander GT models come standard with LED headlights and foglights, sunroof, multi-view camera display, and a Rockford-Fosgate audio system. Standard safety gear on the GT includes adaptive cruise control, lane-departure warning, and forward collision warning with pedestrian detection and automatic emergency braking. The electrified 2018 Outlander is a new addition to the vehicle line, which is mostly in the form it’s been in since a 2016 freshening of the generation that bowed for 2014. The hybrid has been expected in the U.S. for several years, and in the interim, other plug-in SUVs came to market. However, they are all luxury-brand vehicles—only the Outlander PHEV hails from the “affordable” side of the tracks. The Outlander’s control layout isn’t as cutting-edge as newer-design compact SUV rivals, and the infotainment interface and hybrid-system monitoring features aren’t quite as feature-rich as other EVs and plug-in hybrids we’ve tested. A couple of our editors groused that the heated steering wheel (a GT feature) is only heated on about half its rim. Prices start at $34,595 for an SEL hybrid but jump to $40,295 for the GT. That latter figure exceeds the base price of a gas-engine GT by more than $7000. The hybrids get better gas mileage than their gas-only counterparts, though this comes at the sacrifice of third-row seating (that electric-drive infrastructure has to go somewhere), and the GT surrenders 27 horsepower to its V6 alter ego. 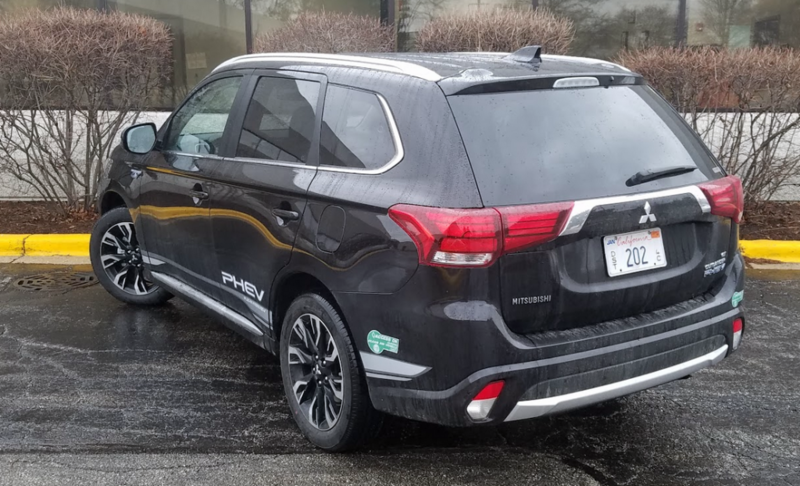 Since it has to carry extra components for its plug-in-hybrid system, the Outlander PHEV doesn’t offer a third-row seat like its regular gas-engine sibling. However, second-row seat space is unaffected… and it’s quite good for the class. 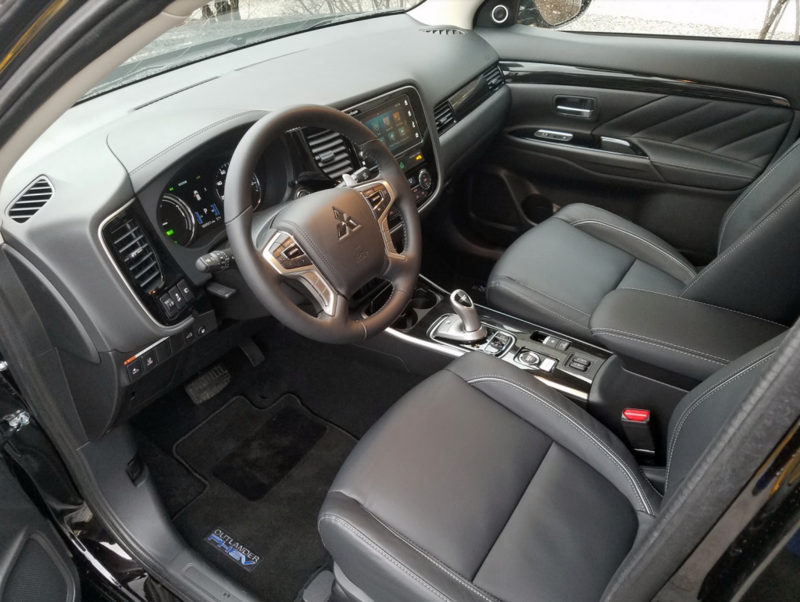 The Outlander hybrid’s powerteam consists of a 2.0-liter 4-cylinder gas engine and twin electric motors fed by a 12 kWh battery for 197 system horsepower. A single-speed transmission regulates power to the “Super-All Wheel Control” all-wheel drive. Drivers can take their choice of normal mixed gas and electric hybrid operation or full-electric driving. There’s also a battery-saver function that preserves charge for situations when it will be most advantageous, and regenerative braking with six levels of force that can be selected through paddles behind the steering wheel. The ready torque of the electric drive gets the Outlander smartly off the mark, but highway cruising isn’t bad, either. When the gas engine jumps in, it does so pretty smoothly, albeit with a little noise. Mitsubishi describes the gas engine as a “range extender” as if electric operation was the vehicle’s primary method of motivation. In fact, all-electric range is an estimated 22 miles—if you’re lucky. In the time this reviewer used the test truck, he had three full battery charges, and drove them down in 17.9, 20, and 20 miles, respectively, with prevailing temperatures in the 30s and 40s. The remainder of his total 229 test miles was covered in hybrid mode with much participation from the gas engine. Thus, the EV function more accurately is the range extender for the gas engine. Factoring in the all-electric miles, this driver burned gasoline at a rate of 39.31 mpg for his whole stint; considering just the miles when the gas engine could have been in use, consumption was 29.37 mpg. EPA economy estimates are 25 mpg for the gas engine in combined city/highway operation, and 74 MPGe for joint electric and gasoline power. When plugged into a 120-volt outlet at this tester’s home, the charge-time display indicated a full battery charge (with the slower 8-amp draw) would take 15.5 hours. However, when hooked to the 240-volt “level-2” charger at CG Supreme World Headquarters, the projected time for a complete recharge fell to 3.75 hours. 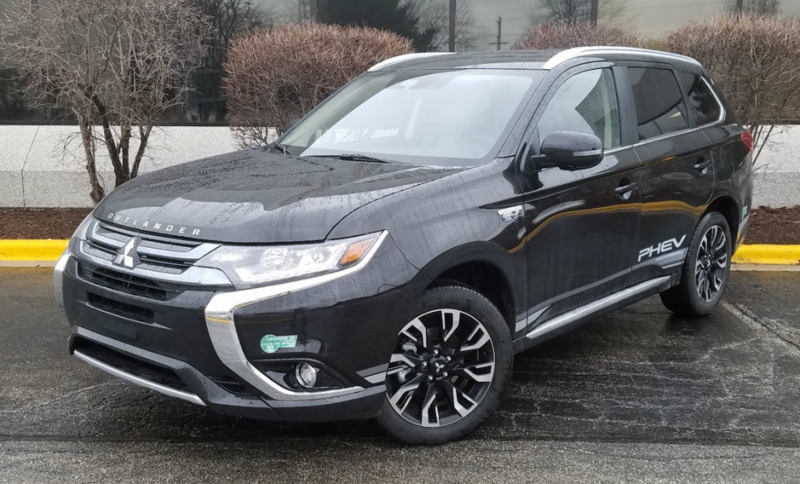 The Outlander PHEV also has direct-current “fast-charge” capability that can restore the battery to 80 percent of capacity in about 30 minutes. A multiview camera and heated steering wheel join the standard-equipment list for the GT in 2018, and both are found in the new hybrid. The GT PHEV expands on the SEL hybrid with the addition of forward-collision mitigation, lane-departure warning, LED headlights, Rockford Fosgate premium audio, a power sunroof, and two interior AC electric outlets. 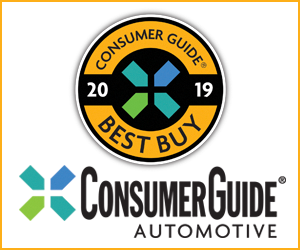 Other included safety features are blind-spot and rear cross-traffic alerts, pedestrian detection, lane-departure warning, adaptive cruise control, and automatic high-beam headlights. Standard tech capabilities consist of the company’s FUSE hands-free link and Bluetooth voice-activated connectivity, Apple CarPlay and Android Auto smartphone integration, dual USB ports, and keyless access and starting. Passengers rest on leather-upholstered seats (heated in front), and the driver grips a leather-wrapped steering wheel. Minimally padded surfaces are found on the dash, door centers, and tops of the front doors. Capping the rear doors in grained plastic saves a few bucks. Leg- and headroom are good in front, and seats are comfortable. Second-row seats aren’t as plush as in front. There’s passable legroom for adults with the potential for cozy three-abreast seating. 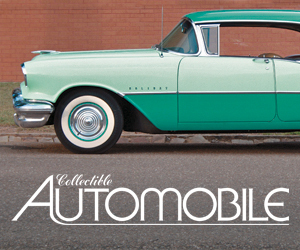 Large, legible speedometer and power-allocation dials flank a colorful electronic vehicle-information display. It’s easy to select and set radio presets (including satellite and HD), which show on the 7-inch touchscreen. Automatic dual-zone climate controls rest below the screen within easy reach, though they rely on a series of buttons. Storage of personal items is handled by large front-door map pockets, a covered console box, twin cup holders in the console, a small open cubby under the dash, and an ample glove box. Second-row passengers are presented with small door pockets, pouches on the backs of the front seats, and a pull-down center armrest that incorporates twin cup holders. All door pockets have bottle holders. 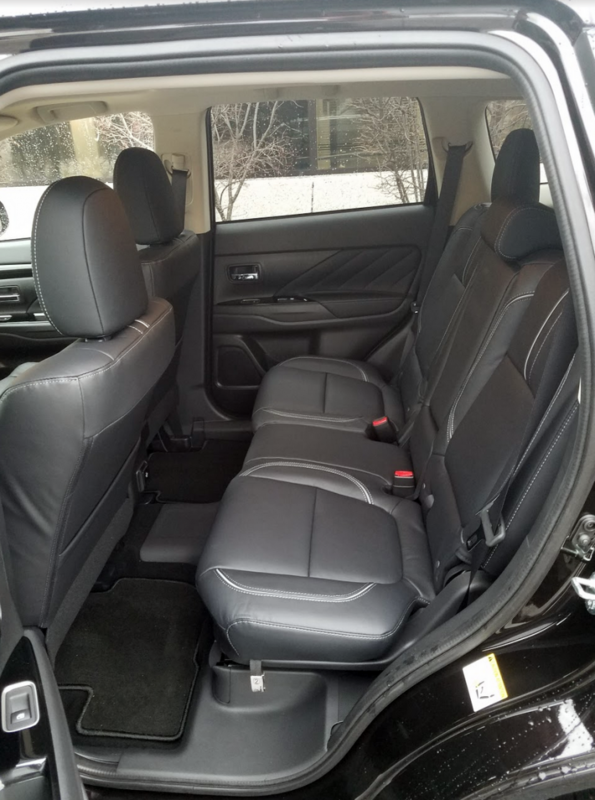 With the second-row seats folded, the Outlander PHEV offers a maximum of 63.3 cubic feet of cargo volume, but the audio system’s subwoofer (mounted on the left-hand side of the rear cargo area) steals a bit of space. There is a handy bin underneath the load floor for storing the charging cable. With all seats up, there’s sufficient room for several pieces of luggage or a week’s worth of groceries for an average-size family. Cargo loads at bumper height onto a flat floor. There are deep open bins at the extreme rear corners and a little room under the floor in a tray that holds the 120-volt charger cord and tire-changing tools. Second-row 60/40 seats drop down almost—but not exactly—flat to extend the cargo floor. The Outlander PHEV GT S-AWC is fairly peppy with pleasing handling. Buyers seeking a plug-in sport-utility for something less than a luxury-brand price may find it to be A-OK. If you want to announce to the world that your Outlander is a plug-in-hybrid model, Mitsubishi will sell you bodyside graphics for $285. The green stickers on the front fascia and aft of the rear wheels are Clean Air Vehicle decals issued by the California DMV; they allow preferred carpool-lane access to certain “green” vehicles on CA freeways. Written by: The Daily Drive staff on April 12, 2018.on April 17, 2018.